Beverage lovers can enjoy our selection of drinks at 50% OFF every Sunday to Thursday 3:00 pm to 6:00 pm. 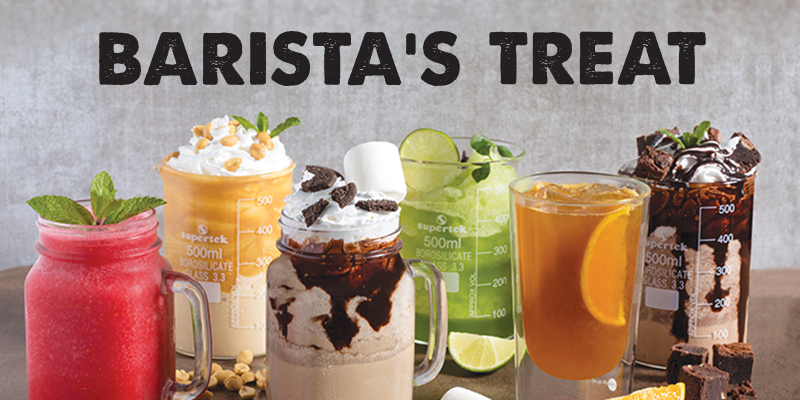 Try all our delicious frappes including Chocolate Brownie and Peanut Butter Toffee, enjoy a break with healthy fruit juices and refreshing sparkling frappes or choose a traditional afternoon coffee and delight in our signature cold brew – all a barista can offer! Check our menu to see all the delicious tea, coffee and juice based drinks you can grab at half the price! T&C: The offer is not valid in conjunction with any other offer or discount. Soft drinks and water are not included.